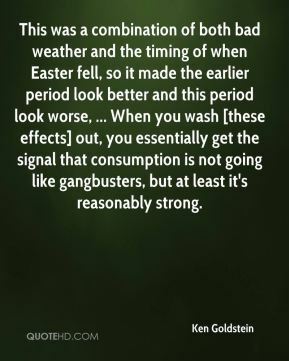 This was a combination of both bad weather and the timing of when Easter fell, so it made the earlier period look better and this period look worse, ... When you wash [these effects] out, you essentially get the signal that consumption is not going like gangbusters, but at least it's reasonably strong. 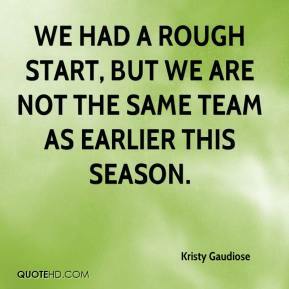 We had a rough start, but we are not the same team as earlier this season. 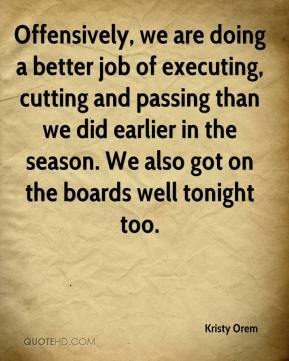 Offensively, we are doing a better job of executing, cutting and passing than we did earlier in the season. We also got on the boards well tonight too. 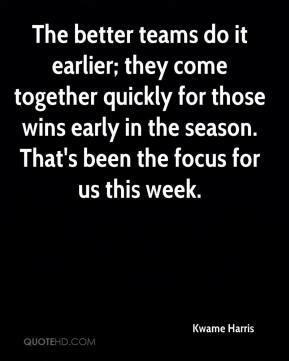 The better teams do it earlier; they come together quickly for those wins early in the season. That's been the focus for us this week. It's about time. I wish it would have happened earlier. 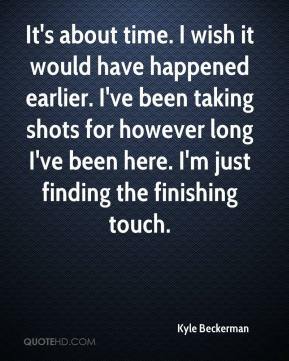 I've been taking shots for however long I've been here. I'm just finding the finishing touch. 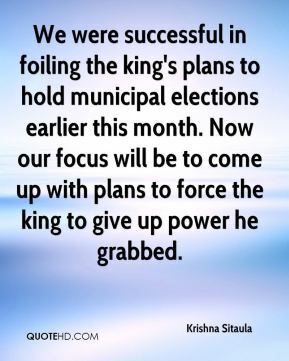 We were successful in foiling the king's plans to hold municipal elections earlier this month. Now our focus will be to come up with plans to force the king to give up power he grabbed. 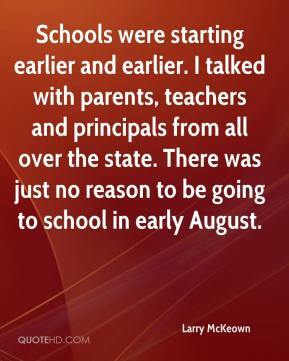 Schools were starting earlier and earlier. 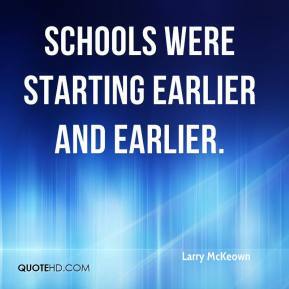 Schools were starting earlier and earlier. I talked with parents, teachers and principals from all over the state. There was just no reason to be going to school in early August. 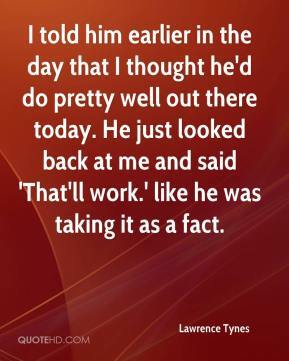 I told him earlier in the day that I thought he'd do pretty well out there today. He just looked back at me and said 'That'll work.' 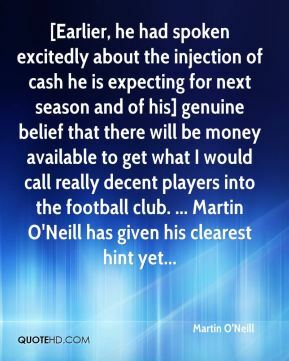 like he was taking it as a fact. This research confirms earlier studies showing that smaller, emerging investment managers historically have offered a performance edge over larger firms. 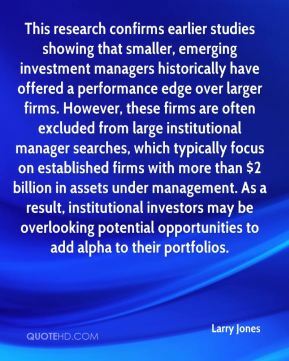 However, these firms are often excluded from large institutional manager searches, which typically focus on established firms with more than $2 billion in assets under management. As a result, institutional investors may be overlooking potential opportunities to add alpha to their portfolios. That was a huge upset. 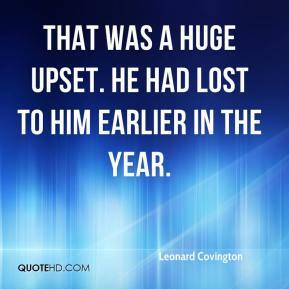 He had lost to him earlier in the year. I had whispered in her ear (earlier) that if you get the ball to take the shot. 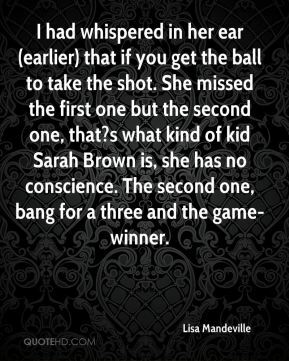 She missed the first one but the second one, that?s what kind of kid Sarah Brown is, she has no conscience. The second one, bang for a three and the game-winner. [But the applause that greeted Warner at the ceremony here was hardly the highlight of his week. 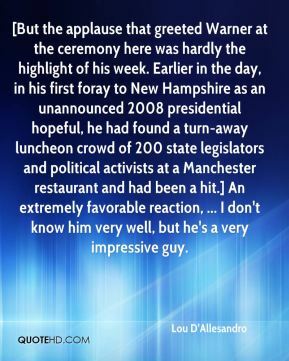 Earlier in the day, in his first foray to New Hampshire as an unannounced 2008 presidential hopeful, he had found a turn-away luncheon crowd of 200 state legislators and political activists at a Manchester restaurant and had been a hit.] An extremely favorable reaction, ... I don't know him very well, but he's a very impressive guy. 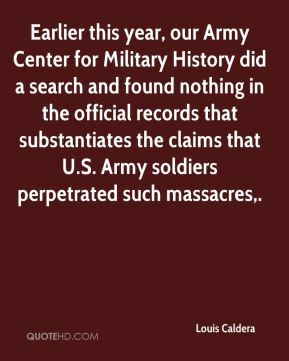 Earlier this year, our Army Center for Military History did a search and found nothing in the official records that substantiates the claims that U.S. Army soldiers perpetrated such massacres. 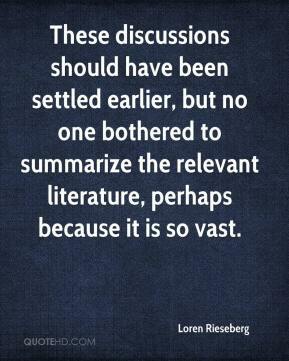 These discussions should have been settled earlier, but no one bothered to summarize the relevant literature, perhaps because it is so vast. 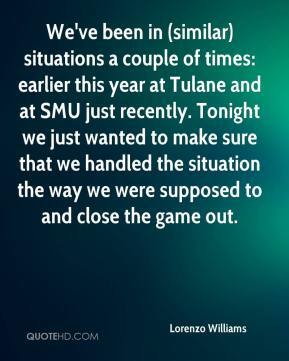 We've been in (similar) situations a couple of times: earlier this year at Tulane and at SMU just recently. Tonight we just wanted to make sure that we handled the situation the way we were supposed to and close the game out. 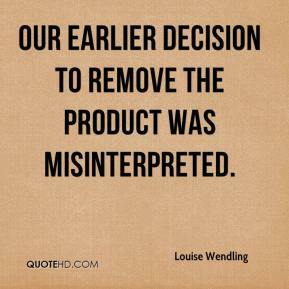 Our earlier decision to remove the product was misinterpreted. 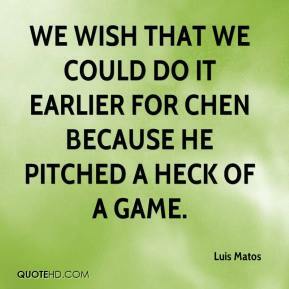 We wish that we could do it earlier for Chen because he pitched a heck of a game. The apparent bubbling up of inflation we saw earlier in the year has quieted down again. 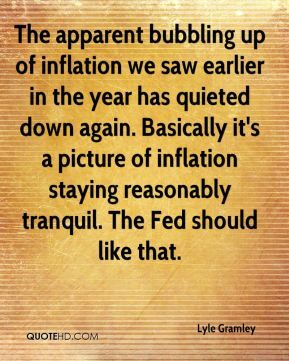 Basically it's a picture of inflation staying reasonably tranquil. The Fed should like that. 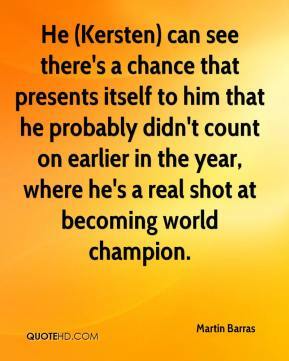 He (Kersten) can see there's a chance that presents itself to him that he probably didn't count on earlier in the year, where he's a real shot at becoming world champion. 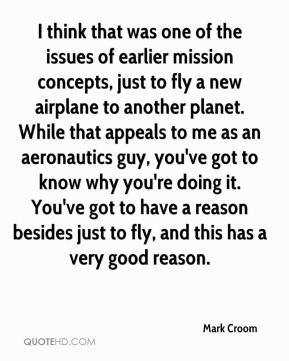 I think that was one of the issues of earlier mission concepts, just to fly a new airplane to another planet. 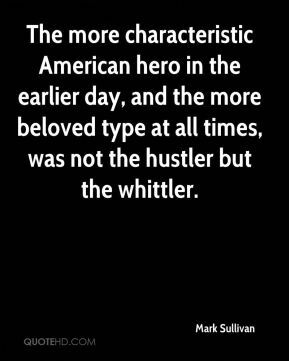 While that appeals to me as an aeronautics guy, you've got to know why you're doing it. You've got to have a reason besides just to fly, and this has a very good reason. 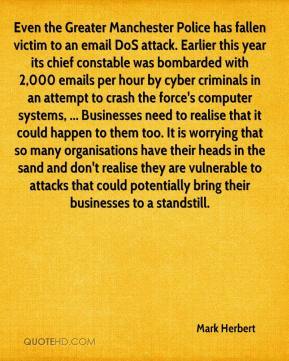 Even the Greater Manchester Police has fallen victim to an email DoS attack. Earlier this year its chief constable was bombarded with 2,000 emails per hour by cyber criminals in an attempt to crash the force's computer systems, ... Businesses need to realise that it could happen to them too. It is worrying that so many organisations have their heads in the sand and don't realise they are vulnerable to attacks that could potentially bring their businesses to a standstill. [Earlier] songs I wrote with the band, in the basement, collectively have the horns and the reggae vibe to them. These songs, I went and wrote, like, SONG-songs. 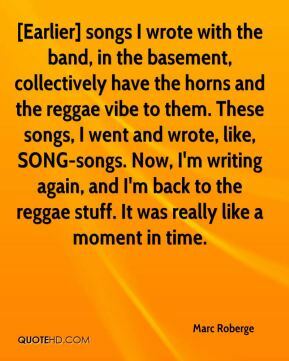 Now, I'm writing again, and I'm back to the reggae stuff. It was really like a moment in time.